This is one of the many wing-type houses that existed in the centre of the town. H-shaped and probably dating from 1820 the gables have been clipped and the façade woodwork added in about 1870. 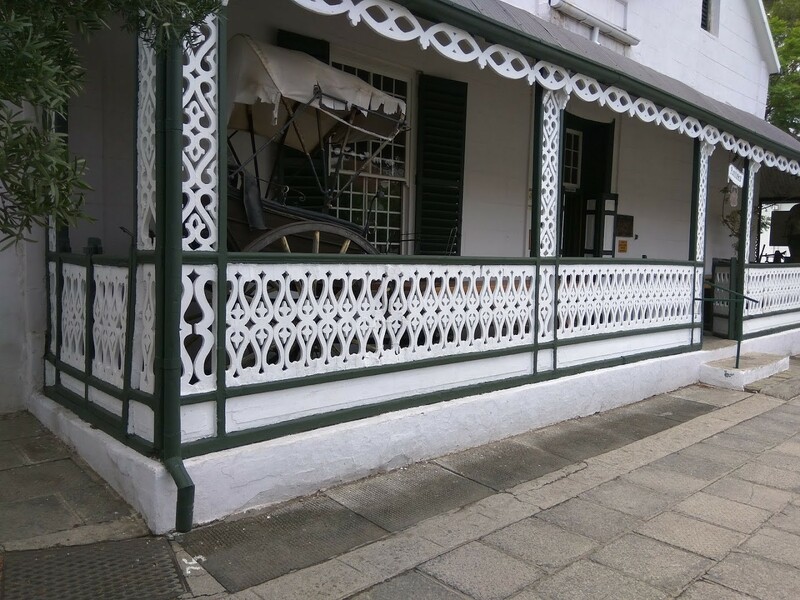 The exterior was Victorianised as is evident by the decorative lattice-work veranda whilst the interior was completely done over. The ceilings, floors, doors and internal shutters are all of yellowwood and the rooms 5,5m and the windows 2,5m high. The Te Water family occupied the house until 1967 and today it is an antique shop.